LoRaWAN™ Low Power Wide Area Network (LPWAN) and solutions are rolling out aggressively worldwide. HidnSeek support this movement. GRENOBLE, FRANCE, October 21, 2017 – HidnSeek is announcing its first LoRaWAN™ product using The Orange Internet of Things Network to link physical assets to the digital world. The new asset tracking standalone GPS module is available for European range (868MHz). HidnSeek announced early this year their first LoRaWAN™product using Objenious Internet of Things Network a Bouygues Telecom French subsidiary along with the introduction of a GPS tracking solution using The Things Network a global, crowd-sourced Internet of Things data network. The LoRa Alliance™, the global association of companies backing the open LoRaWAN™ standard for the internet of things (IoT), released on Oct. 17-20, 2017 in Suzhou, China its latest technical specifications supporting handover roaming, which allows transferring control of the end-device from one LoRaWAN network to another. Stéphane Driussi, CTO said “LoRaWAN has already been the preferred solution for users looking to transmit up to 512 bytes per message while also working on devices travelling at high speeds without any data loss. The latest LoRaWAN specification enhances the protocol even further by including roaming and making LoRaWAN an excellent option for worldwide tracking. HidnSeek ST1-L for LoRaWAN™ using Orange Data Network is a low power and rechargeable tracker backed by smart services enabling real-time, widespread, geolocalisation, temperature logging and motion detection. The tracker hardware is customizable with further sensor integration allowing the deployment of new services. Our customizable web platform can offer flexibility in geolocalisation services for enterprises. Companion apps already available on Android, iOS and Web provide secure access to numerous services such as locating an asset quickly, be alerted when an equipment unexpectedly leaves a site or temperature going out of range, reporting of asset effective utilization or providing real-time inventory. If you are interested to evaluate and purchase the HidnSeek ST1-L LoRaWAN™ product please contact sales@hidnseek.fr or visit our website. In addition to its cell networks, Orange has chosen to invest in a new Low Power Wide Area (LPWA) network, a narrow-band technology that guarantees connectivity at a reduced energy consumption rate and at a lower cost. The Orange network based on LoRa® technology now covers close to 4,000 towns and industrial sites with quality connectivity inside buildings and below ground. 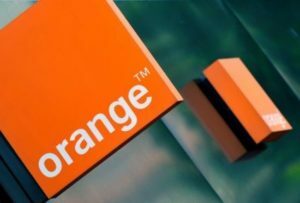 Orange deploys its network where it counts for its enterprise customers and will continue the deployment, adapting to their needs, with the aim of reaching national coverage by the end of 2017. HidnSeek are dedicated to designing and building innovative solutions to enable remote tracking and asset management, empowering enterprises to improve their operational efficiency. HidnSeek ultra-low power devices are leveraging the rapid and disruptive deployment of the Internet of Things (IoT) networks. HidnSeek designs and manufactures a range of Tracking products and would be delighted to address your logistic or tracking challenges.